"Mommy, do you think Santa knows My Little Pony?" Hannah asked me the other day. "I'm sure he does, he has to keep up with all the toys that girls and boys like," I responded. "Good, because I really want to ask him for Princess Cadence's castle with Baby Flurry Heart." Clearly My Little Pony is a big hit in my house right now. 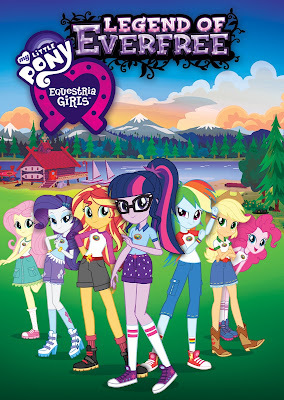 This week Hannah has been home with croup, so it was especially good time for us to review My Little Pony Equestria Girls - Legend of Everfree. And as part of this review, three YYZ Bambina readers can win a copy of their own!